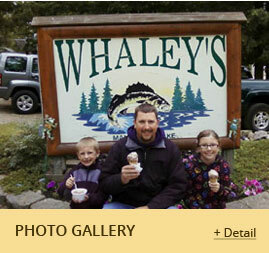 At the end of Whaley's Road, you will find peaceful vacations with privacy, terrific fishing, family fun, well-kept housekeeping cabins, beautiful wooded grounds, access to miles of trails, and a sandy swimming beach, all non-smoking cabins. We offer 14 cabins, 4 villas, satellite TV, microwaves, lodge with snack shop and games, groceries, wireless internet access, gas, and bait. We have boats, motors, and pontoons. We use a tractor to put your boat in and store your trailer out of sight. 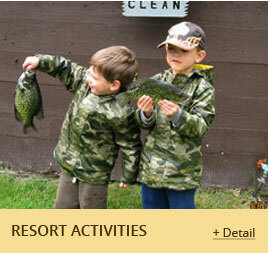 Enjoy a playground, horseshoes, basketball, volleyball, kayaks, paddle boats and canoes for guest use. 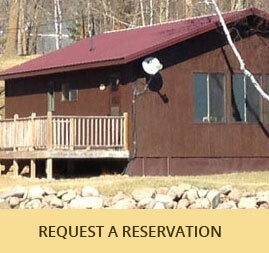 Our shaded campground has full hookups, a shower house and laundry facilities. Enjoy the natural beauty of 92% undeveloped shoreline. Open Year round. No jet skis please. 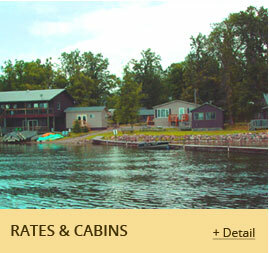 Pets only in cabins 13 & 14 with prior approval. Add'l fee and pet policy will apply.